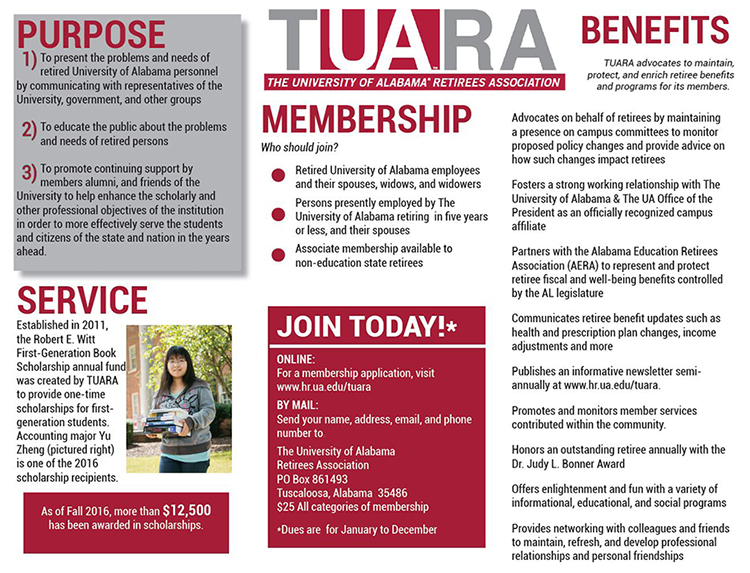 View a pdf version the 2016 TUARA Membership Brochure. 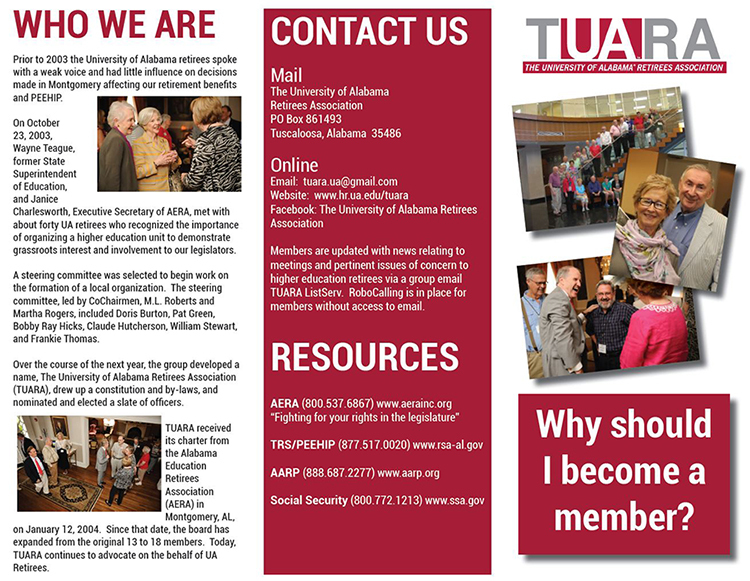 scholarships for UA students, and offers informative programs and social events for members. We look forward to an exciting year ahead! We hope to see you at our social on the Bama Belle on Sept. 27, and we plan to announce the date for our fall general meeting in November very soon. This newsletter and our monthly email updates will keep you informed about upcoming events, volunteer opportunities and issues of importance to retirees. Please join us for events and invite your friends! Let us know if you have questions or concerns. You are welcome to contact me or any of our executive board members any time.